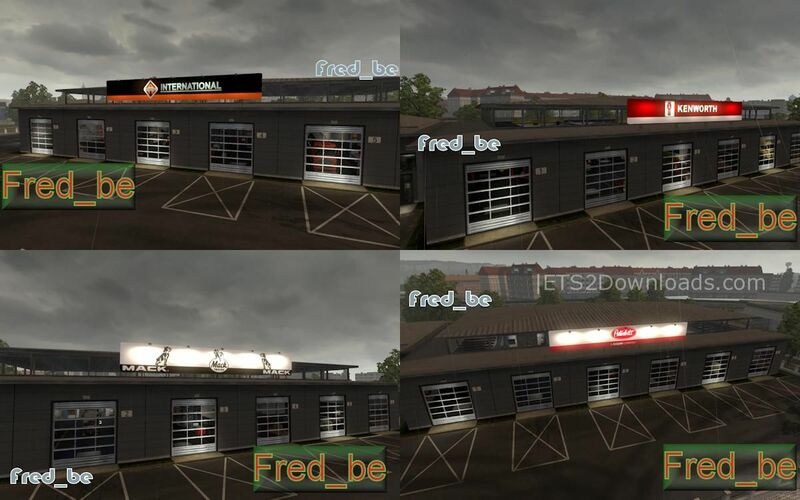 Every driver dreams about own a big garage and here it is, dream come true in ETS2 with American Big Garage mod. This mod compatible with all DLC ( Scandinavia & Going East, Promods ). Support several manufacturers: International, Kenworth, Mack, Peterbilt.